Hooray for Winter and all things peppermint! I declare this week Peppermint Week. This is pretty much the only time of year when I enjoy mint anything, unless it’s Summer in Lebanon, but that’s another story. I’ll save it for a Summer day. As for now, here is the first of three peppermint recipes. 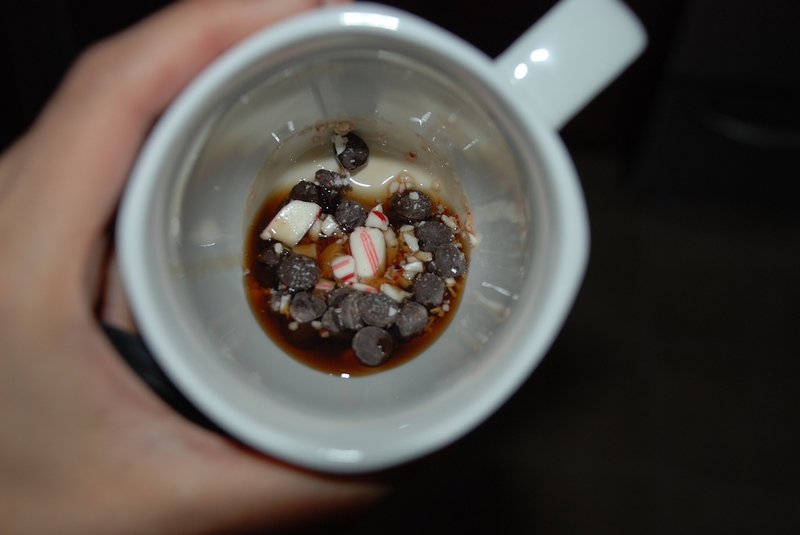 Put a palmful of chocolate chips, 1/2 oz Torani syrup or 1/2 tsp peppermint extract, a couple pinches of crushed candy cane, some chocolate syrup and espresso (if making a mocha) into a cup. For the microwave: Reserve espresso for this and add it at the end. Pour the milk over your ingredients. For kids, heat one minute on HIGH. For adults, 2-3 on HIGH. Stir it all up really well. Heat your milk to 100 degrees for kids, 140 for adults. Pour it over your ingredients, reserving foam. Stir it all up really well, top with foam. 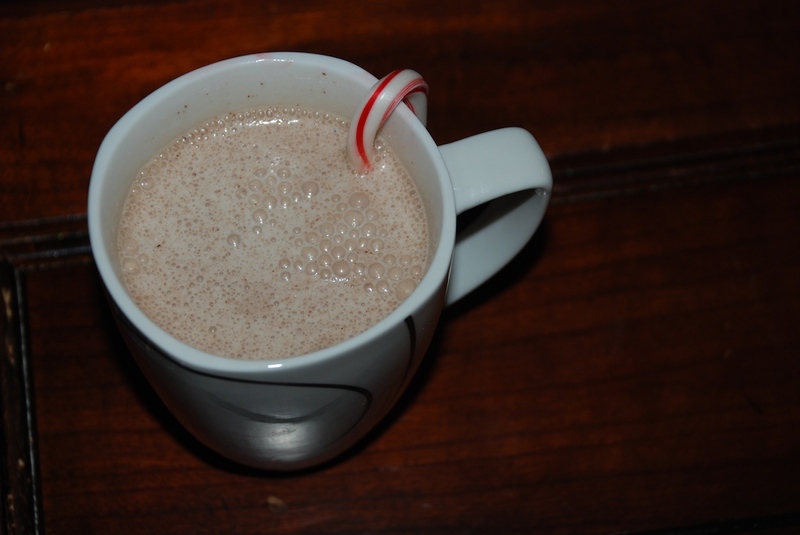 Decorate your hot chocolate with the extra candy cane over the side of the cup. 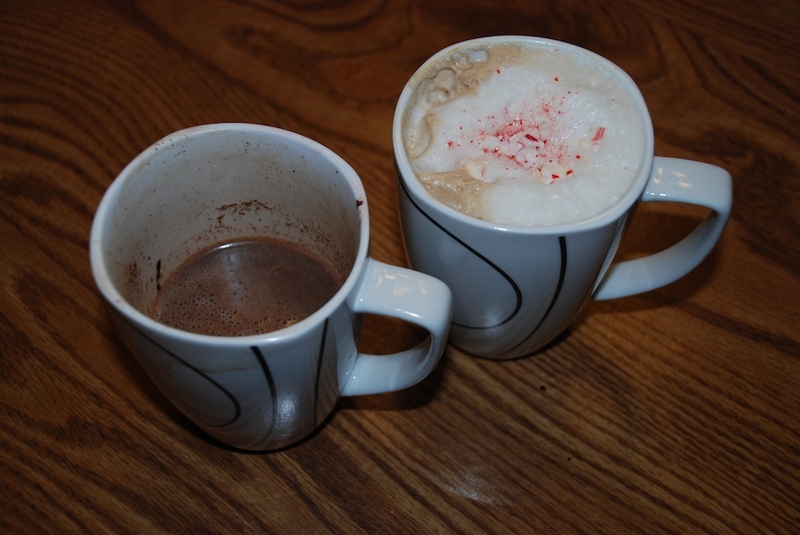 Add some flavor to the look of your mocha by sprinkling on some peppermint dust. Drink and enjoy!